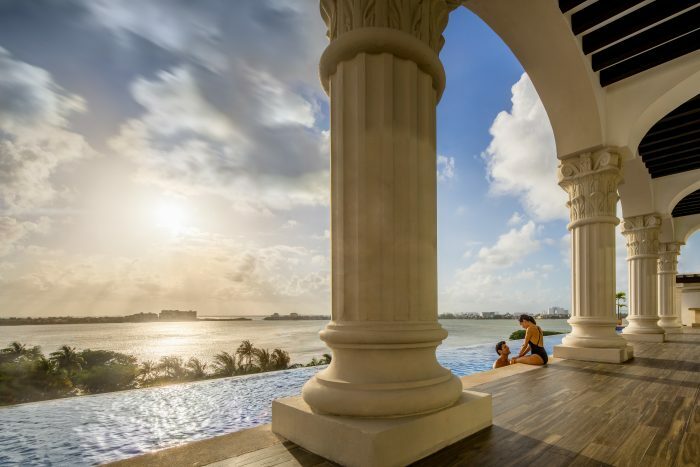 This adults-only resort is located along the pristine beaches of the Yucatan coastline, and in the heart of Cancun’s hotel zone. 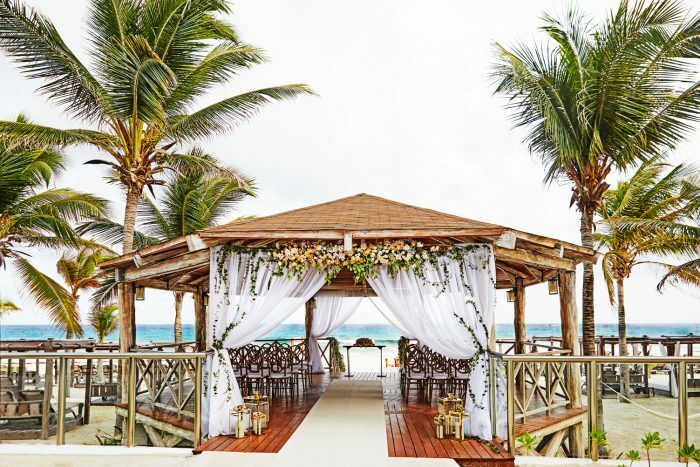 With turquoise waters and incredible views, the resort will provide breathtaking scenery as the backdrop to your wedding ceremony, even from the on-site chapel that includes giant glass windows overlooking the Caribbean Sea. 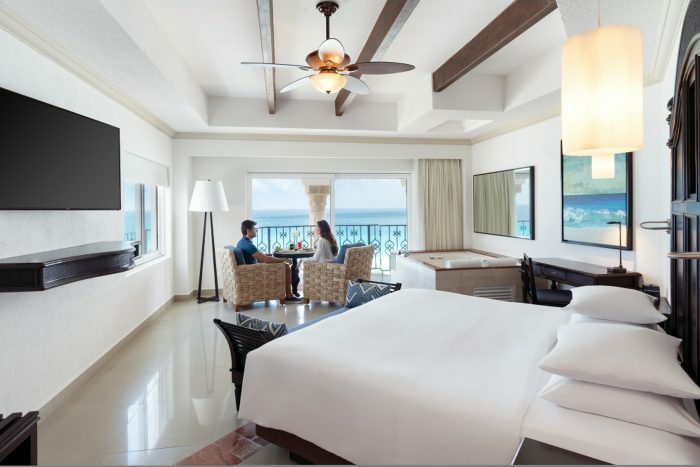 Hyatt Zilara Cancun is a hacienda-style resort that offers colonial-style rooms with whirlpool tubs and large balconies. 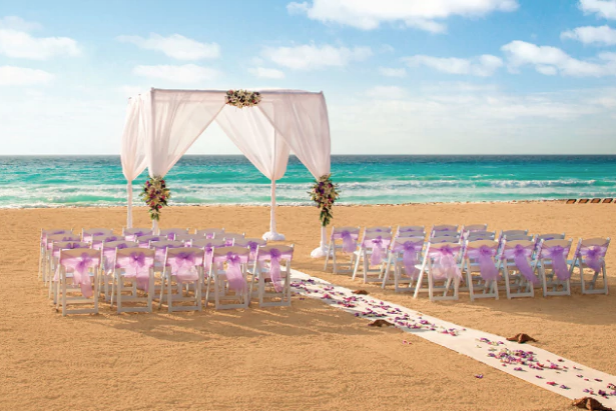 Celebrate your wedding in paradise with traditional Mexican hospitality and extraordinary venues to choose from. 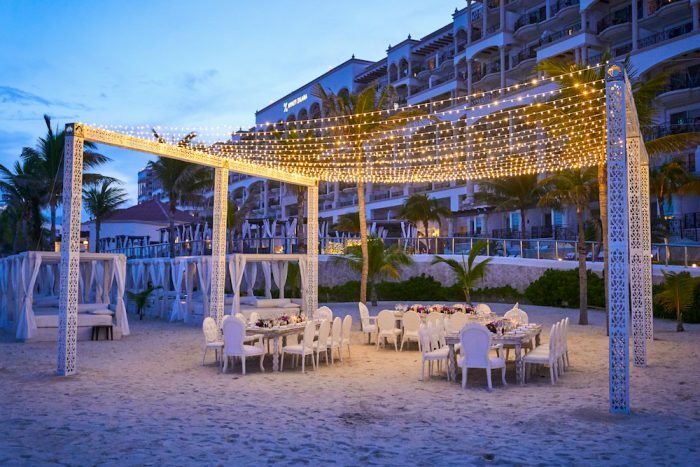 Big Day Preview – You and a guest can get a preview of your dream wedding with a 2-night stay for only $400 or $500 depending on Panama Jack resort. You’ll receive $400 or $500 matched respectively towards your wedding, so it’s like having a preview of your wedding for free! 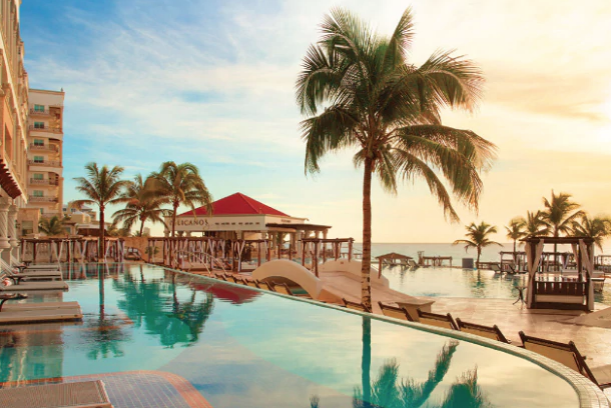 There is a huge freeform infinity pool with bridges crossing over it to gain beach access, and a swim up bar in the center to separate the pool into an activities section and a relaxation section. The resort offers such a luxurious pool since the waves at the beach can often be too strong to swim in. Nightly entertainment on the property ends by 11pm at this resort. The base price for this package is $999, but complimentary when booking a minimum of 15 nights stay. Upgraded packages, additional guests, and add-ons are available for an additional cost. 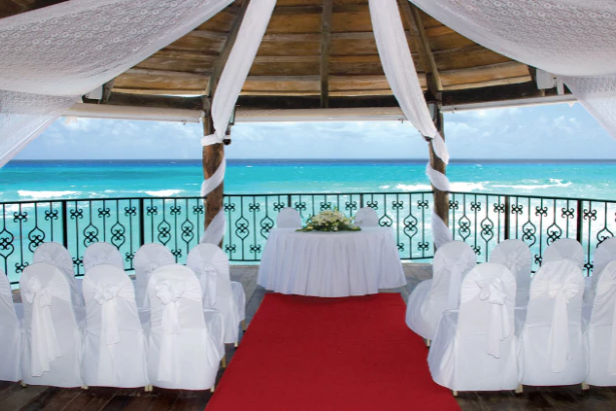 Chapel – 200 guests max, Beach – 150 guests max, Gazebo Villas – 40 guests max. The resort will host no more than 1 wedding per day, Monday thru Sunday. Ceremonies can be held between 10am and 4pm, but during certain season ceremonies can be held until 6pm. Rooms range from $240 – $350 per person per night. Every room includes complimentary wifi, a minibar, and fully furnished balcony with a hammock. Premium room categories include a steam shower. 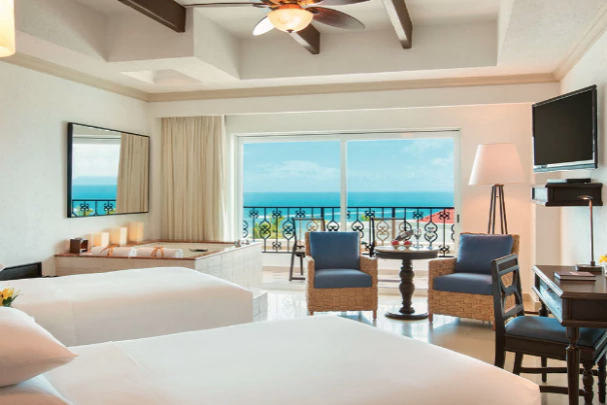 There are 307 total guest rooms all that include partial or full views of the ocean, or are Oceanfront. Connecting rooms and handicap rooms are available upon request. High-season months typically include April, May, October, and November. It is always encouraged to have your guests book their stay 6 – 8 months in advance. Guest rooms will allow up to 4 adults max. 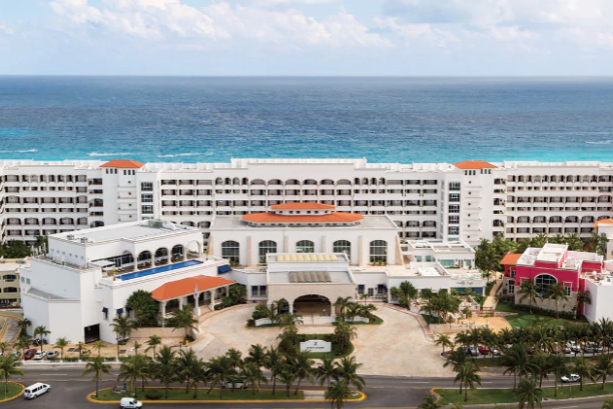 Hyatt Zilara Cancun is located about 9 miles from the CUN airport. The resort is about 30 minutes outside of downtown Cancun. Chapel– 200 guests max, Beach – 150 guests max, Gazebo Villas – 40 guests max. Guest rooms will allow up to 4 adults max. This resort is adults-only for guests 18 and older. 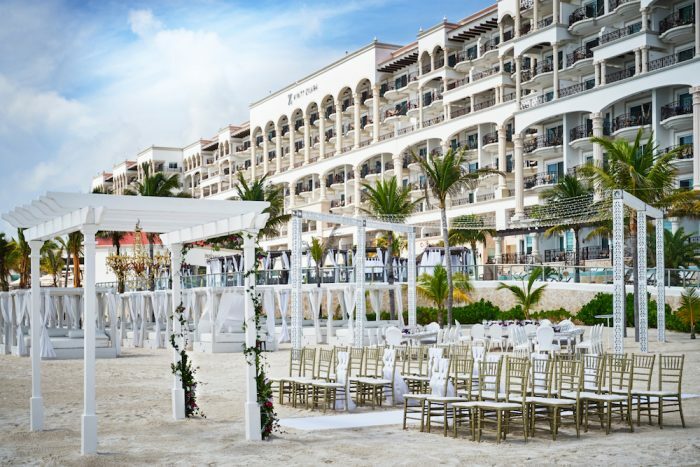 Q: What makes Hyatt Zilara Cancun such a great place for a destination wedding? A: The privacy and great views from their wedding venues, our personal attention from the beginning of the wedding until the end. We take care of all the details and our hotel services come from our hearts. 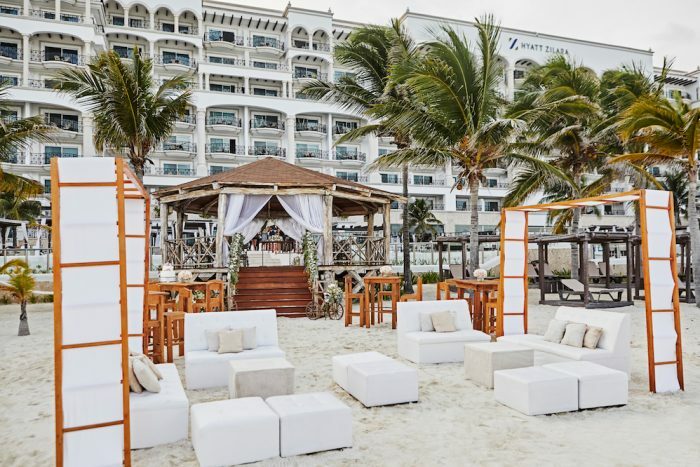 Q: What compliments do brides typically give Hyatt Zilara Cancun? 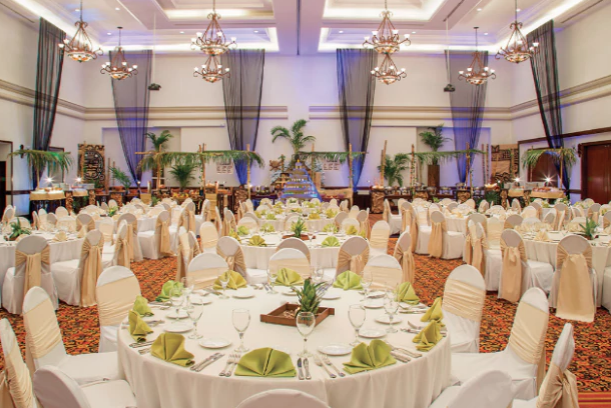 A: The beautiful wedding areas, privacy, and fast communication. Also the amazing beaches and beautiful resort we offer. Q:What is your favorite part of a destination wedding? A: My favorite part is when I finally meet the couple in person. The most of the time I meet the couples after months of planning through e-mails and phone so it is very excited to finally see their faces!